Looking for a reliable and powerful file catalog software to organize your files, stored on dozens of HDDs, DVDs, CDs and other media storage devices? WinCatalog 2018 file catalog software is a perfect solution! On the market since 2001. 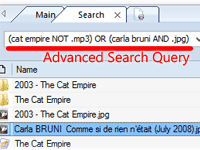 The goal of WinCatalog is to automatically create a catalog of all the files from your disks: WinCatalog will automatically grab ID3 tags for music files, Exif tags, thumbnails and detailed information for image files (photos), thumbnails and details for video files, thumbnails for PDF files, contents of archive files and ISO files, and much more. Once you create a catalog of files, using WinCatalog, you can easily and effectively organize it, using tags (categories), virtual folders and user defined fields, and automatically update a catalog. With WinCatalog you will find files, stored on hundreds of disks, easily and quickly, using powerful advanced search, without connecting disks to a computer. Search for dublicate files is also available. "This is the best program I ever used to catalog my files! Please go on with the good work! I REALLY LOVE IT!" 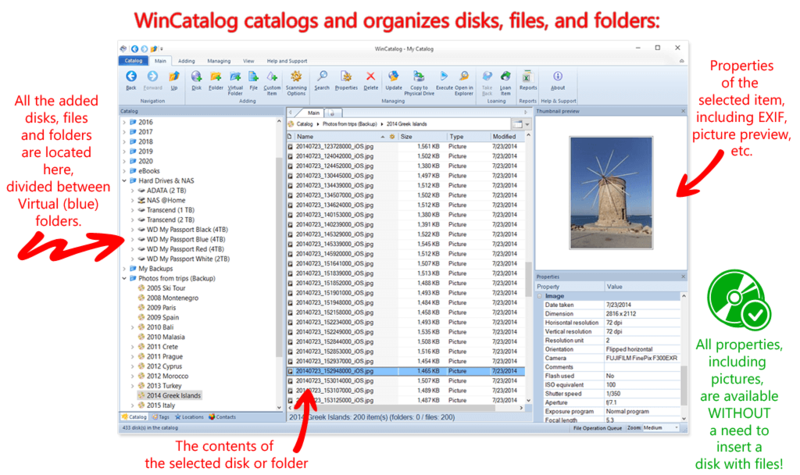 How does WinCatalog file catalog software work? Process your disks with WinCatalog file catalog software just once to create a catalog of all files and folders. WinCatalog file catalog software will remember and preserve the entire nested hierarchical folder structure. Organize your file catalog by adding virtual folders, tags and any user defined fields. Browse using a grid view or a thumbnails view. View the details of any file or item without opening additional windows. Thanks to WinCatalog 2018 File Catalog Software you can automatically create and store thumbnails of graphic files saved in all popular formats (JPEG, PNG, BMP, ICO, GIF, Tiff, WMF, and EMF) or RAW image formats produced by most of modern digital cameras. You can also save EXIF data (comments, resolution, camera model, focal distance, and other parameters). 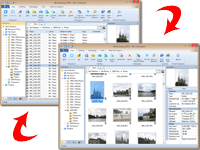 The program supports Zip, Zipx, RAR, and 7z compressed files as well as ISO and NRG disk images. Files inside archives are displayed as files in folders. The main advantage of WinCatalog 2018 is extremely high operating speed while processing file catalog, thanks to industrial database standards and SQLite DBMS. Using this advantage, you can find any object (a disk, a folder or a file) in your catalog in a matter of seconds! We put much into developing as simple and straightforward interface as possible in order to let you enjoy all functions of WinCatalog 2018 File Catalog Software right after installation. Tag management allows you to assign a set of keywords (tags) to every element for quicker and more accurate search. While arranging the collection across virtual folders using drag'n'drop leaving the actual file and folder structure intact allows you to manage your file catalog better. This function allows you to create nice reports, containing your file catalog, to send to your friends, publish online, print or perform in-depth processing in MS Excel. WinCatalog File Catalog Software correctly deals with any names and titles regardless of the language thanks to full Unicode support.